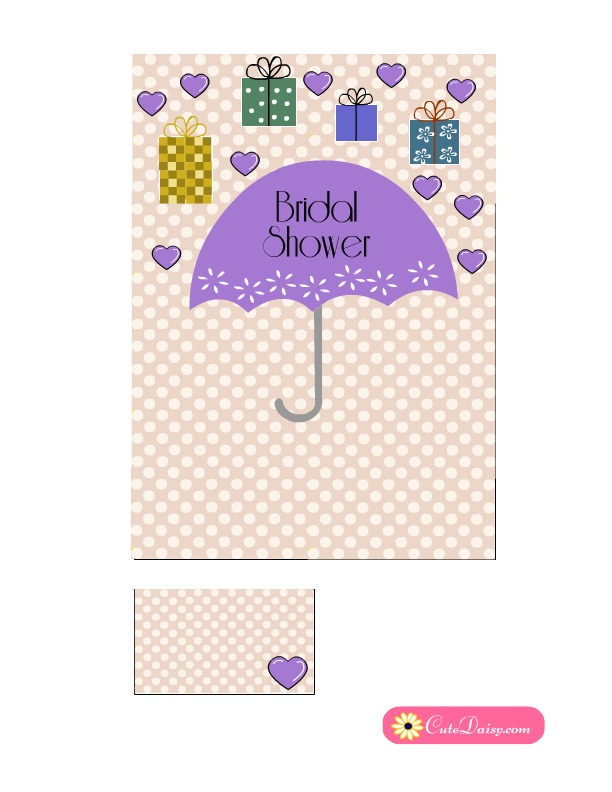 Today I created these Cute Free Printable Bridal Shower Invitations in three different colors featuring umbrella and gifts. 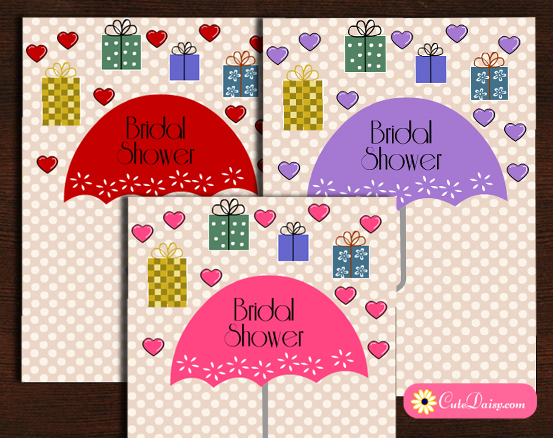 It is a typical depiction of a bridal shower party in which gifts are showered. 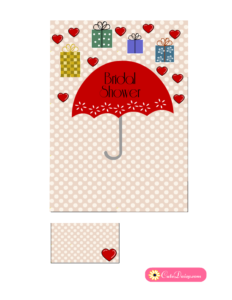 These invitations are in three different colors and have a polka dotted background. I have made these as blank PDF templates so you can type in your own text easily in these before taking a printout. 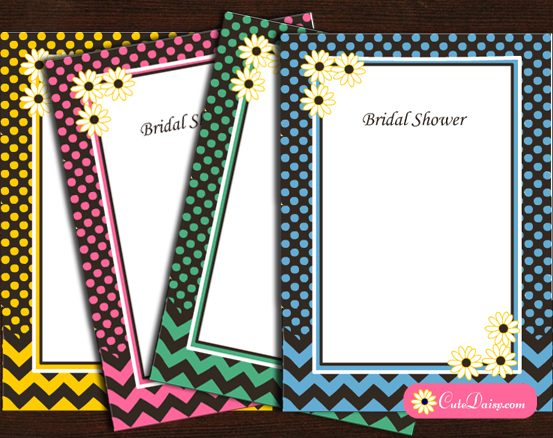 I have also made matching polka dotted address labels with each of these cute free printable bridal shower invitations. I have made these invitations free only for personal/non commercial use. This is an invitation that is not exactly in Lilac color but lilac is the dominating color as I have made the Umbrella and hearts in that color. Click here to download the editable PDF file for this invitation. 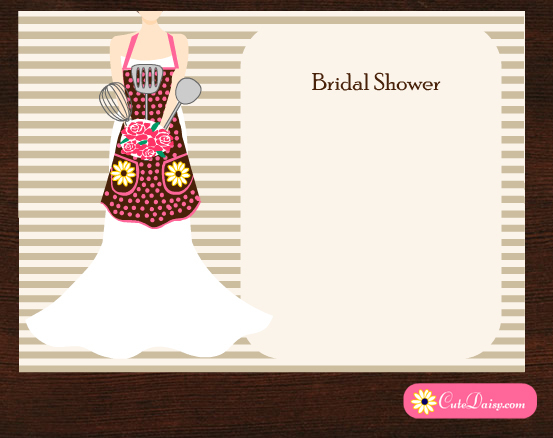 Click here to download another beautiful color variation of this cute bridal shower invitation design that I made today. 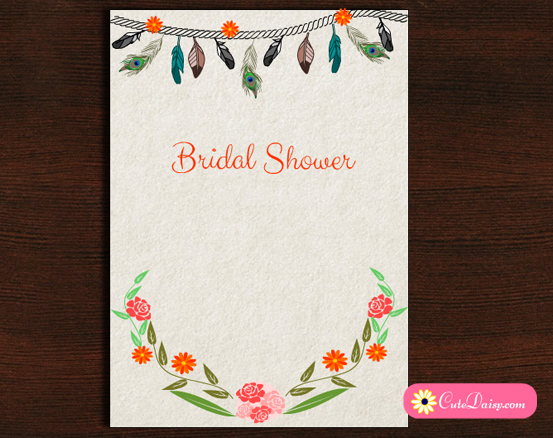 It is really easy to add your own text in these invitations and you can write to me if you face any difficulty. Click here to download this adorable free printable bridal shower invitation featuring a pink umbrella and lots of gifts. Please do not forget to like this post and leave a comment below.